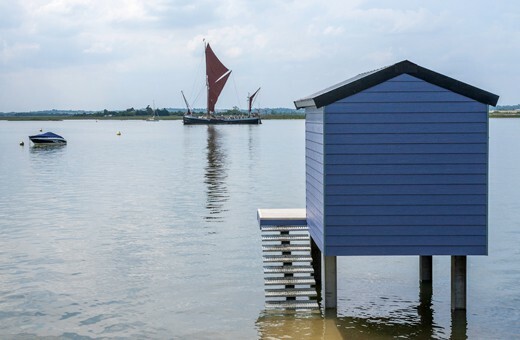 AJW are proud to showcase images from the Osea Leisure Beach Huts, Maldon, Essex; a project for which we supplied Cedral weatherboard in order to help the designers create a colourful, luxury and unique finish. 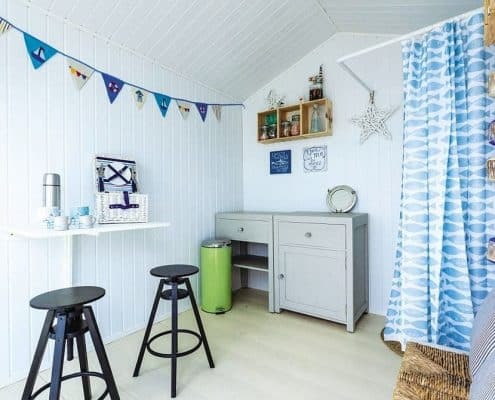 Osea Leisure’s unique Beach Hut location is absolutely stunning, sitting above the water line with panoramic views over the Blackwater Estuary. 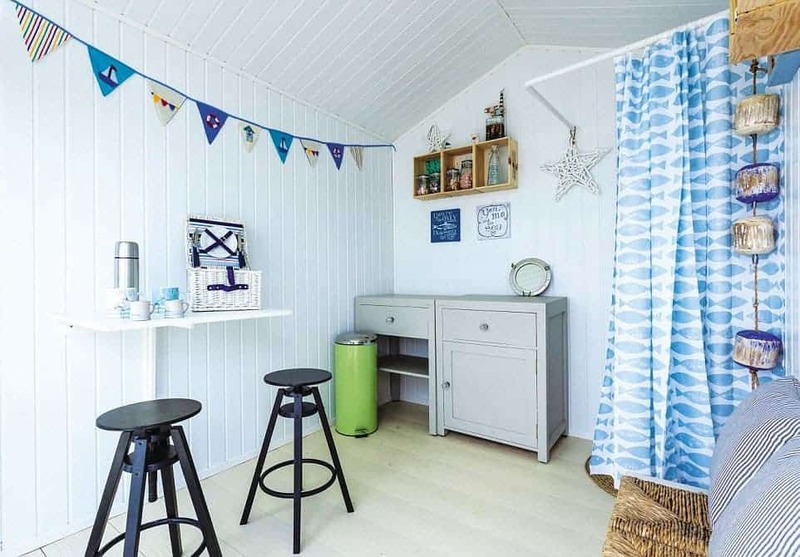 The team wanted to recreate the halcyon days of seaside family holidays with a modern twist. The Beach Huts needed to be much more than garden sheds on stilts, to resist the continual rigors of coastal weather while remaining low maintenance. Supports: Four galvanised steel H beams piled 6m into the beach. 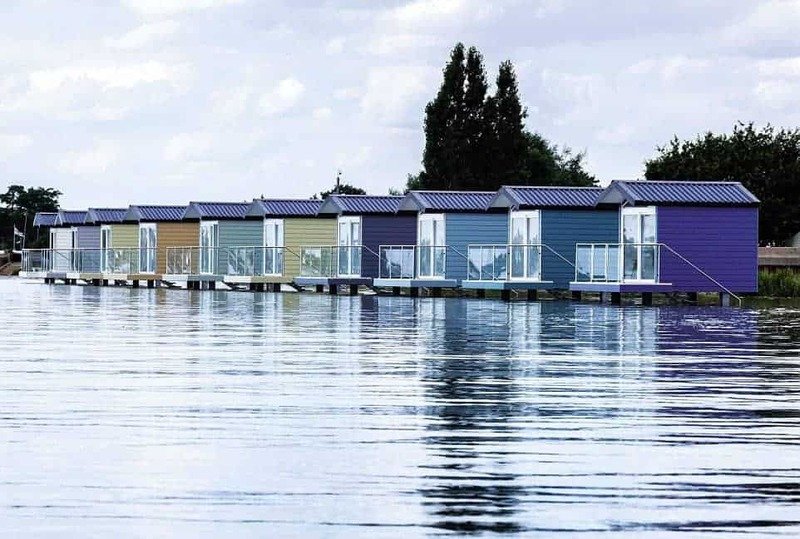 Structure: The main frame of each Beach Hut is constructed from 75mm galvanised steel box section and all timber is pressure treated. 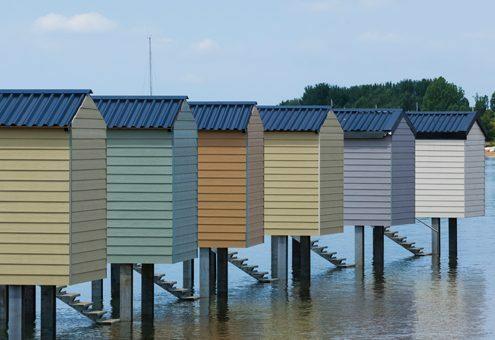 The exterior cladding is Cedral Weatherboard from Marley Eternit. Flooring: PVCu deck board, offers a great level of strength and durability. The deck boards are slightly domed shape to offer extra drainage and very easy to clean. Handrails: Marine Grade Stainless Steel was our preferred choice offering a greater resistance to corrosion. Cedral is the ideal, low maintenance, rot-free alternative to traditional timber weatherboarding. 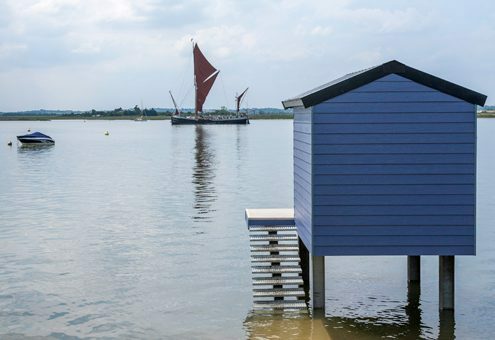 With the visual appeal of natural timber, simplicity of installation and resistance to rot, Cedral weatherboard was the perfect solution for this project. 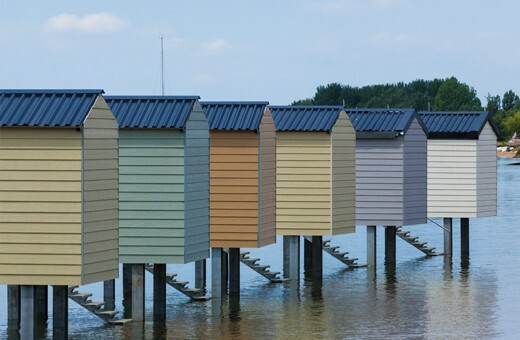 A range of weatherboard colours were used for cladding the beach huts. 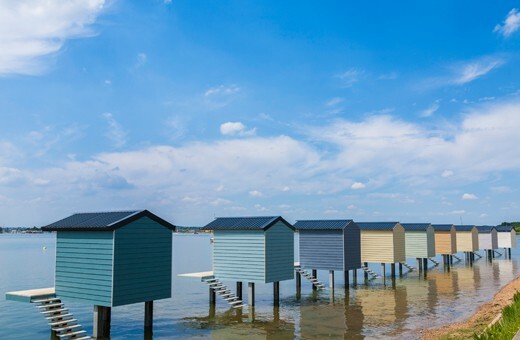 The completed beach hut set looks absolutely fantastic. 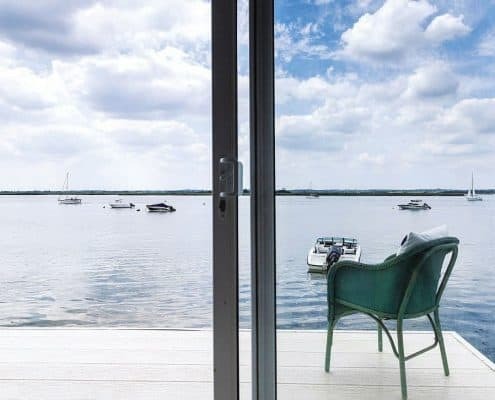 Owners just love the privacy and even on a cold day you can close the double-glazed patio doors and sit reading a book admiring the beautiful view. 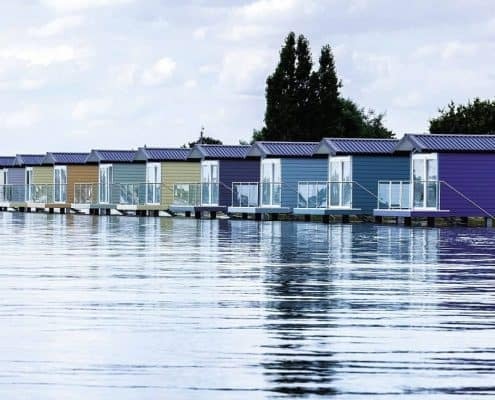 If you like the look of the huts, we can source and supply the full range of Cedral weatherboard cladding products from Marley Eternit, including Cedral Lap, Cedral Click and coordinating trims, soffit and fascia boards. 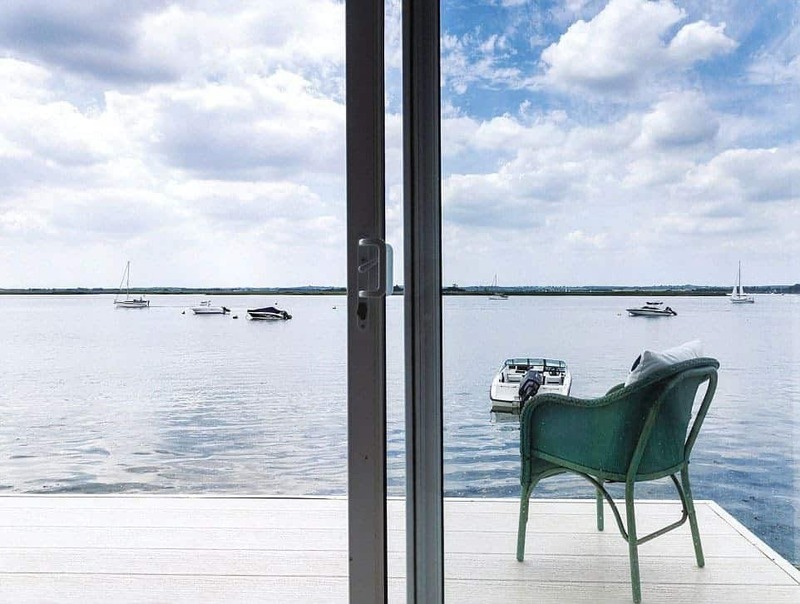 Cedral Lap is specially designed so the planks overlap creating a traditional clapper board aesthetic, whereas Cedral Click planks are fitted together flush creating a contemporary façade.